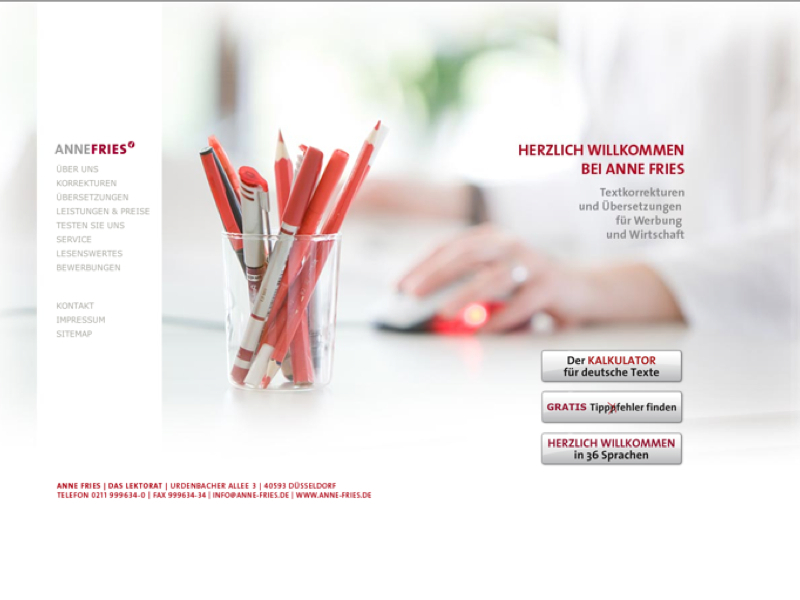 Website / Layout for Anne Fries. 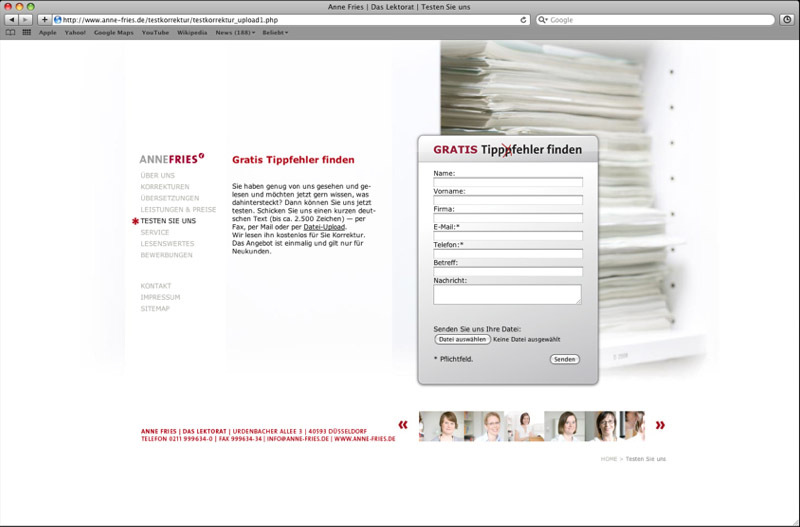 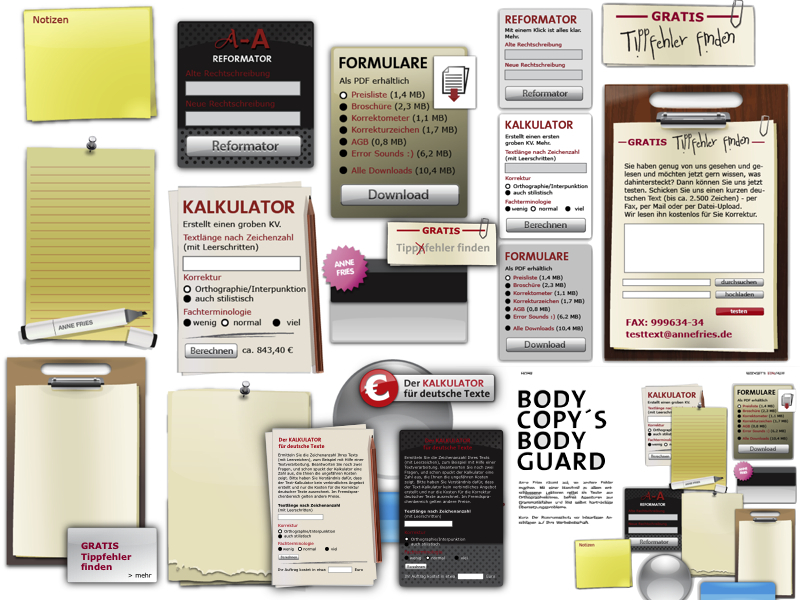 German Translation Company. 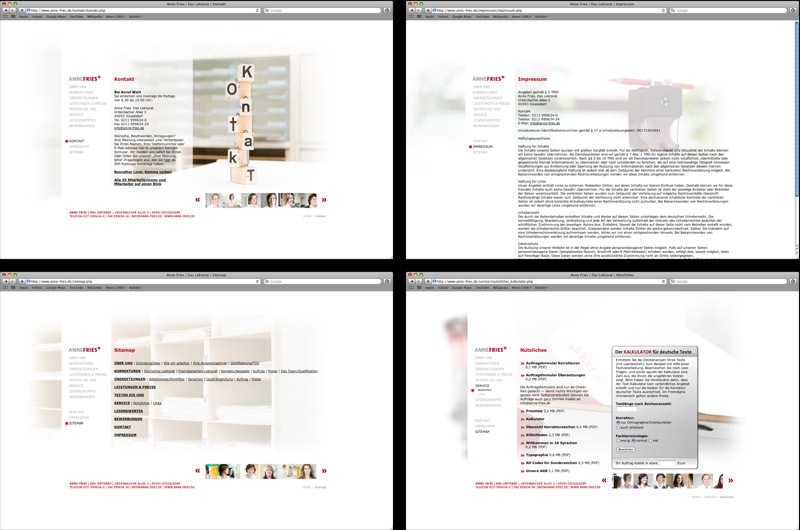 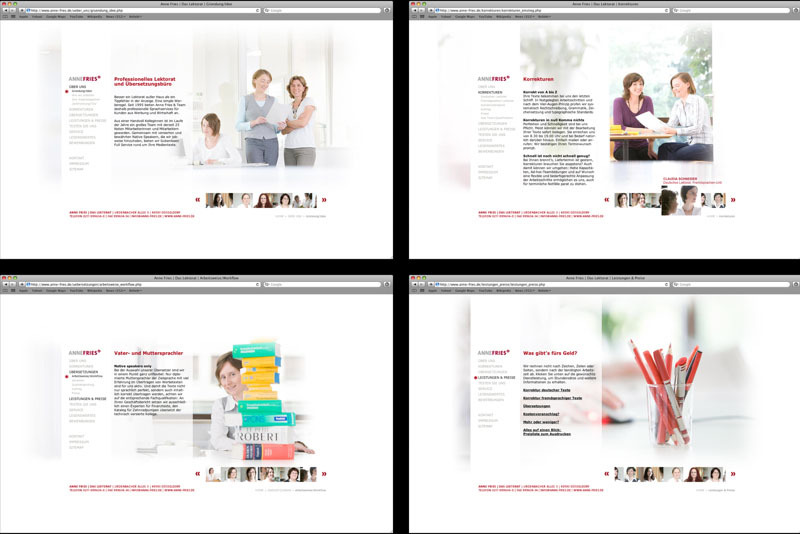 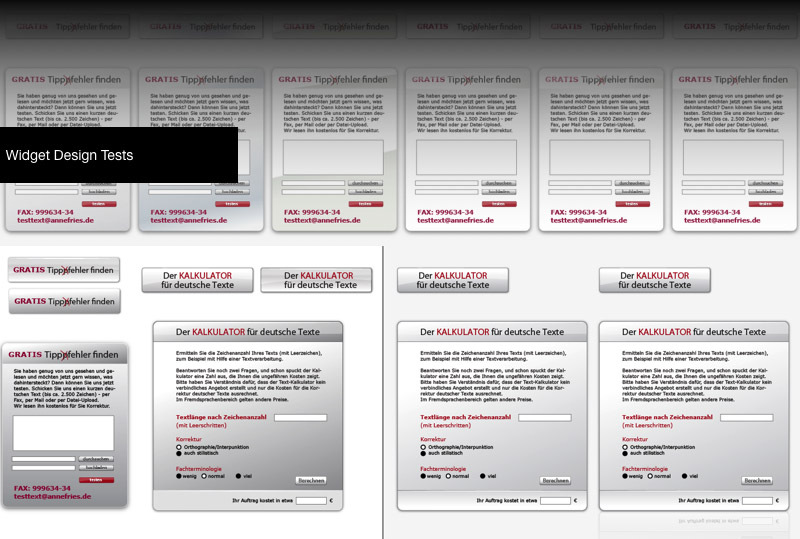 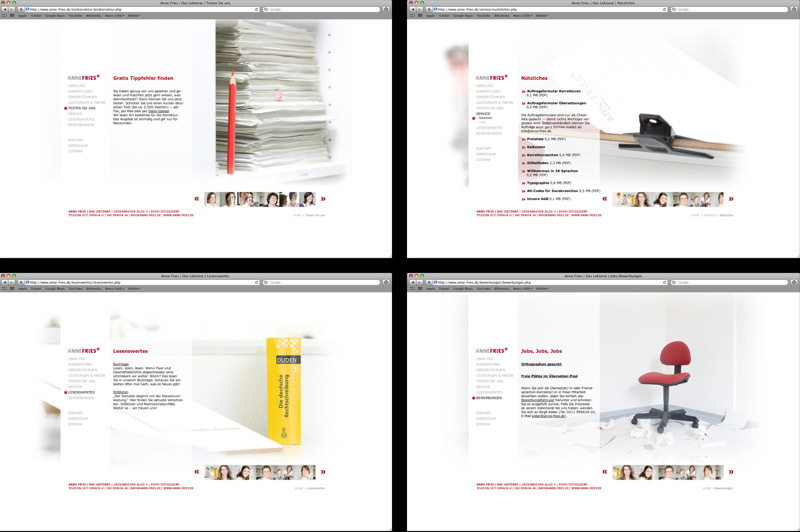 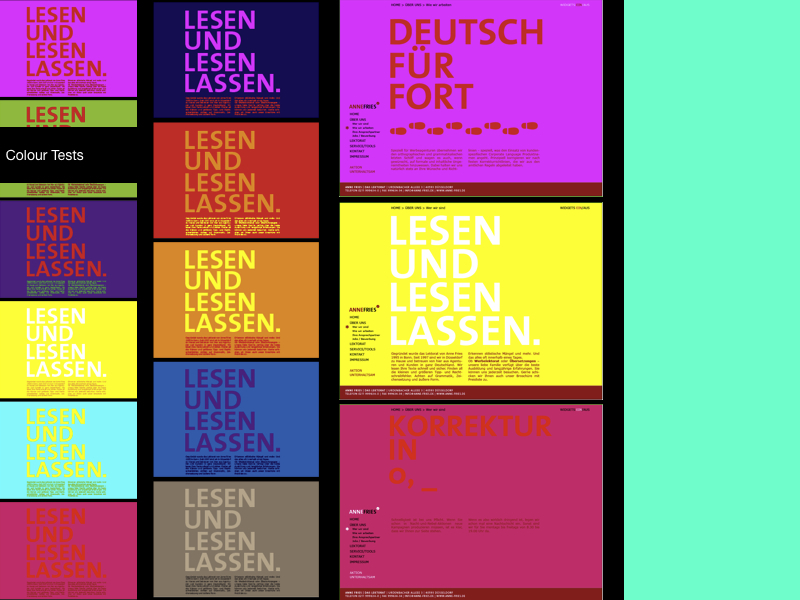 Since the target group are people working in the communication / advertising industry, used to work on big screens and fast bandwith, Anne Fries needed a soft fading site whithout concrete beginning and end of the image and contents.